Great for organizing and holding approach charts. 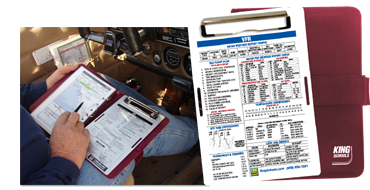 Includes a clipboard with valuable VFR flight information printed on the face, and a flight planning organizer pad. Click here for the KING IFR kneeboard.